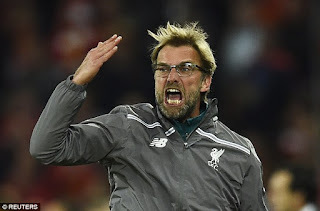 After Saturday's abject defeat to Burnley where several "stars" failed to shine in defence or attack, Jurgen Klopp is going to drop the hammer on several players in the League Cup game at Burton Albion on Tuesday night. Expect Manninger to replace Mignolet in goal and Joel Matip to start as central defender with either Lovren or Klavan missing out. Trent Alexander-Arnold will replace Clyne after his error at the back led to Sam Vokes' opening goal for Burnley. 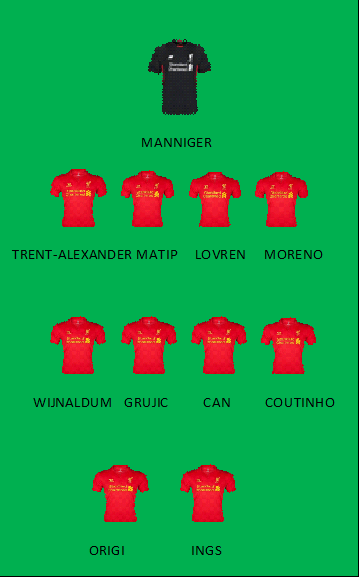 Grujic and Can should start in midfield as the Liverpool manager utilises his full squad. Wijnaldum may keep his place if only to integrate him into Klopp's style of football. Would love to see Danny Ings get a start upfront as he is a great talent who has been out for a year now recovering from a cruel ACL injury. I imagine Origi will lead the front line in a game everyone is desperate to win on Tuesday evening. Burton Albion are no mugs. Under former red Nigel Clough, they are in the Championship and they lie in 17th in the division. But Liverpool nowadays are prone to defeats to underdogs so anything can happen.